The 1851 census taken on 30th March shows Elizabeth Musgrove aged 29 as a visitor in York. Layerthorpe, a district of the city of York. of Hallfield Road and Layerthorpe. 1852 Baptism of Charles Joseph Atkins. 30th December 1852. 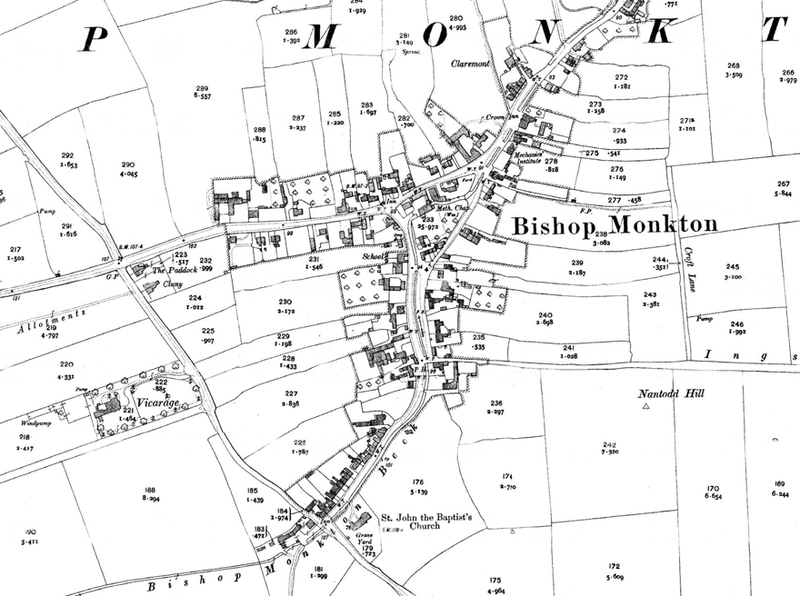 The family had moved to the remote Yorkshire Village of Bishop Monkton. 1854 Baptism of Hannah Margaret Atkins. Joseph and Elizabeth's second child Hannah Margaret Atkins was Baptised 3rd June 1854. She died just three days later on 6th June. 1857 Baptism of Mary Ann Margaret Atkins. Joseph and Elizabeth's third child Mary Ann Margaret Atkins was Baptised 22nd March 1857. 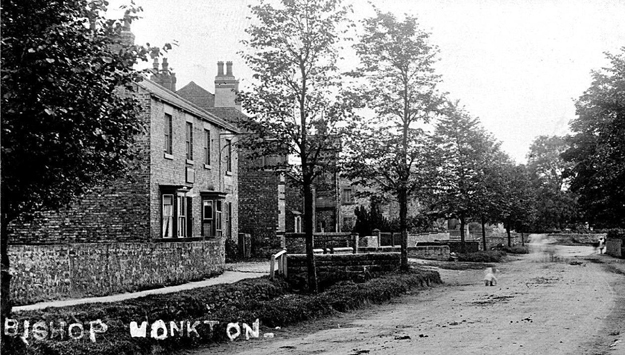 The family were still living in the remote Yorkshire Village of Bishop Monkton. 1858 Death and Burial of Joseph Atkins. landlord of the Crown Inn Bishop Monkton. The census shown above and below lists residents at the Crown Inn in 1851 and 1861. Atkins family either lived with them or in an adjacent building. The Crown Inn is shown above around 1900. It had closed as a public house by 1920. The property is shown below present day. It is a private house named Crown Lodge. 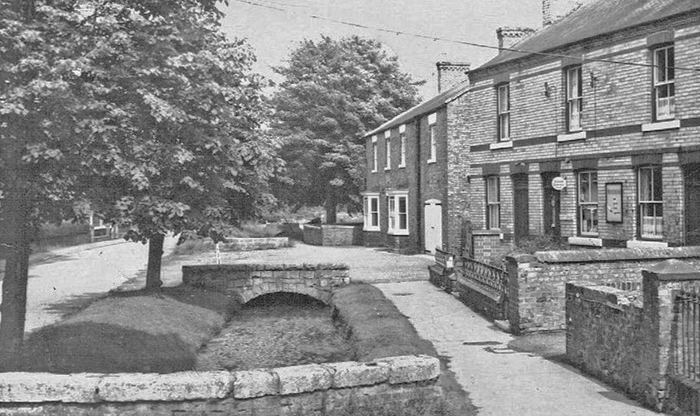 The Crown Inn (now a private house) is shown below in this 1950's period photo. Below this 1909 map shows the village which has changed little to this day.